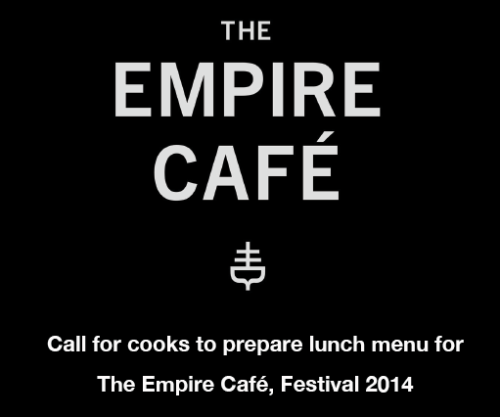 The Empire Café is a Commonwealth 2014 Cultural Fund project. The café will explore Scotland’s involvement with the North Atlantic Slave trade via tea, coffee, sugar and cotton. It will be based at The Briggait (home of the Merchant’s Steeple) in Glasgow’s Merchant City for seven days during the Commonwealth Games (25th July - 1st August). We are looking for community cooking groups across the city who are interested in creating the lunch menu that will be served in the Café. More information about this opportunity is available to download as a pdf.